Who are Iraq’s Kurds? Mahir Aziz’s The Kurds of Iraq goes deep inside Iraqi Kurdistan to meet the people now on the front line in the war against the Islamic State. Due to the conflict and violence that have swept across the country and the wider region in the wake of the Islamic State (IS) group’s formation, Iraq’s Kurds have become central to understanding the politics of the region. Publishing on 30 October, The Kurds of Iraq is a crucial book that explains the vital issues impacting the area. With new battles being waged over the boundaries of Kurdish territories and oil fields in the region, never before has it been so important to examine the situation of the Kurds in Iraq. 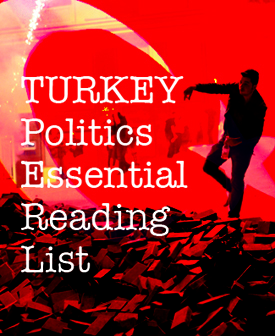 In this book, Mahir Aziz asks the pertinent questions: who are the Kurds today? What is their relationship to the Iraqi state? How do they perceive themselves and their prospective political future? And in what way are they crucial for the stability of the Iraqi state? The Kurds of Iraq is the go-to book for understanding Iraqi Kurdish nationalism, nation-building and national identity, and essential for anybody wishing to work with the Kurds in Iraq, the Greater Kurdistan Region, or in the diaspora. Tags: Iraq, Islamic State, Kurds, Middle East, Politics. Bookmark the permalink.